Several years before The Dark Side of the Moon elevated them to the commercial stratosphere, Pink Floyd began as a ’60s psychedelic pop outfit—-Britain’s answer to the Summer of Love. The band’s driving force then was singer/guitarist Syd Barrett, whose songs like “Arnold Layne” and “See Emily Play” brought Pink Floyd on the singles chart. When Barrett’s departure from the band due to his erratic behavior, and the inclusion of guitarist/vocalist David Gilmour, Pink Floyd progressed from his whimsical psychedelic pop songs to extended mood-driven avant-garde space rock that foreshadowed their ascendancy to stardom. 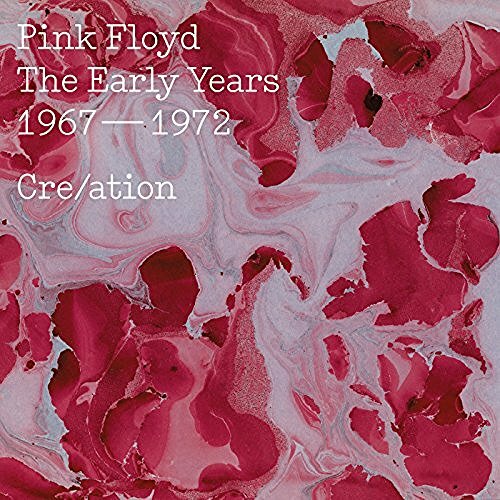 The formative period of the band’s history is collected on a mammoth 27-disc set, The Early Years, from which this the 2-CD version Cre/ation is excerpted. It features not only the band’s 2016 remixes of “Arnold Layne,” “See Emily Play” and other studio tracks, but it contains rarities such as performances of “Flaming” and “Careful with that Axe, Eugene” for BBC Radio; unreleased music from the Zabriskie Point soundtrack sessions, including “The Riot Scene” (which would be later fully formed as “Us and Them” on The Dark Side of the Moon); “Nothing, Pt. 14,” which is a skeletal framework of the epic “Echoes”; and a live performance of “Atom Heart Mother” in Montreaux from 1970. Poignantly, this set concludes with “Stay,” sung by the band’s late co-founder Richard Wright, from Obscured by Clouds. Cre/ation is a fascinating glimpse of a group charting their own ambitious and adventurous musical path, making a case for casual fans who only know the band’s work post-Dark Side to look deeper to see how it all began. For the die-hard fans, this wealth of archival music is a total must.